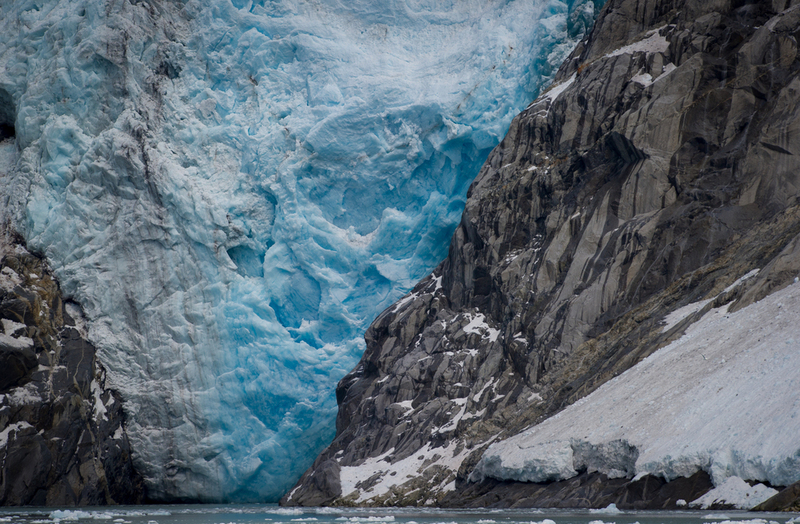 Travel the waters of Kenai Fjords and view the face of a spectacular tide water glacier. Thrill at the extraordinary spectacle of crowded seabird cliffs. 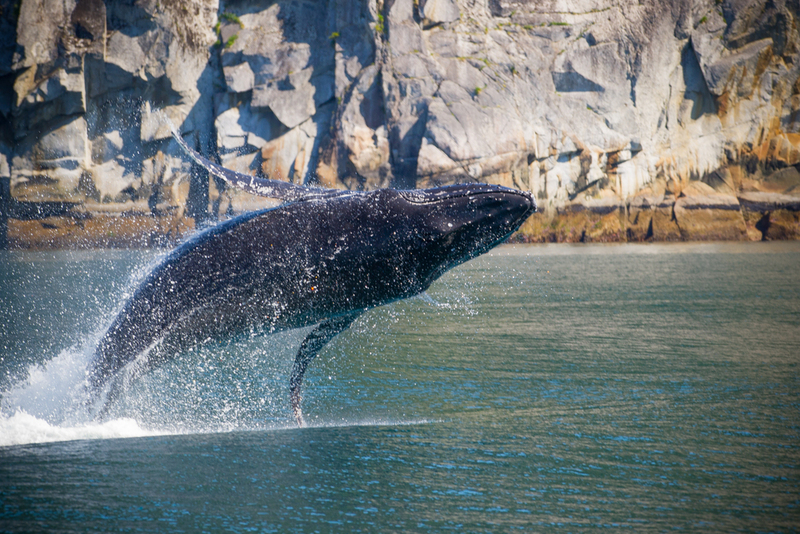 Cruise the pristine waters of Kenai Fjords National Park. 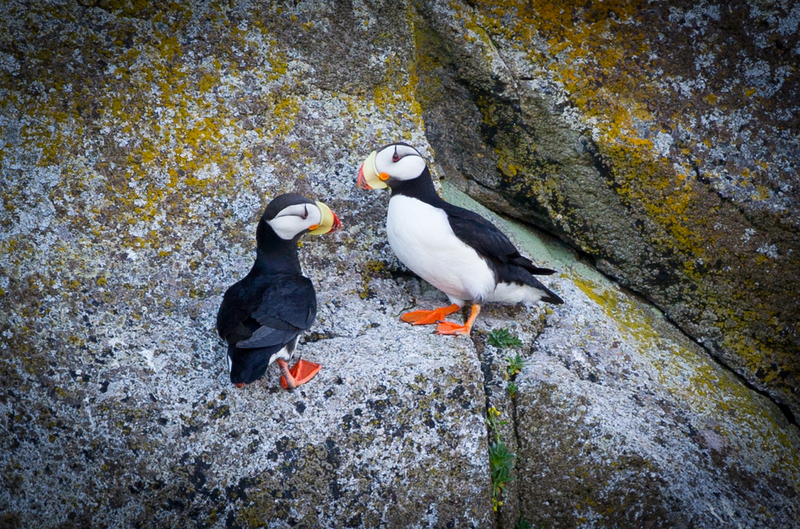 See Humpback whales, sea otters, puffins and more. Fly over the Susitna valley and see the Alaska range unfold around you. Land on the Ruth glacier or lake (optional) at the base of Denali and experience the excitement of standing among giant peaks. Day 1: Anchorage: Arrive in Anchorage and transfer to the hotel via courtesy shuttle. The rest of the day is free to wander around and explore this pleasant city and its shops. The hotel is located only ten minutes from the downtown shopping area. The hotel also offers a health club, pool and whirlpool for your convenience to help you unwind from your long flight up to Alaska. 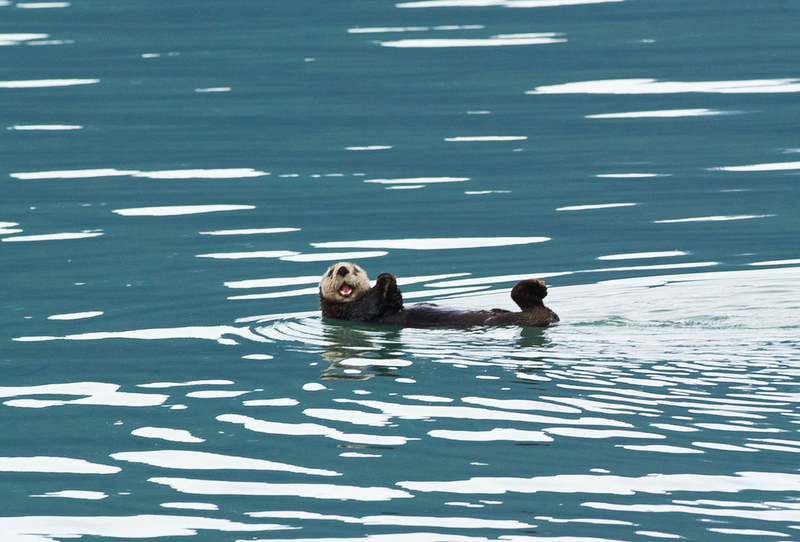 Day 4: Seward: After breakfast we will visit the Alaska Sea Life Center, a world class marine science facility. The center serves as a regional stranding center and it is equipped to rehabilitate sick, stranded and injured marine mammals and birds. 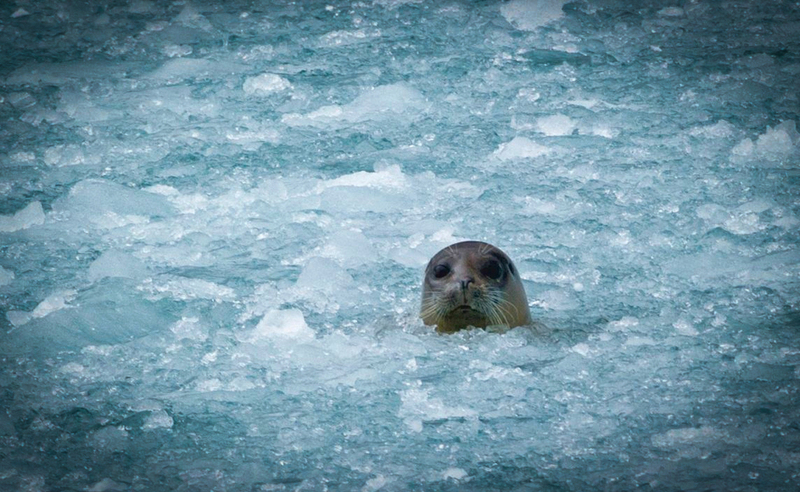 Go nose-to-glass with many of the creatures you will only see from a distance on a cruise. This one of a kind research, rehabilitation and education facility lets you observe marine research as it’s being conducted. 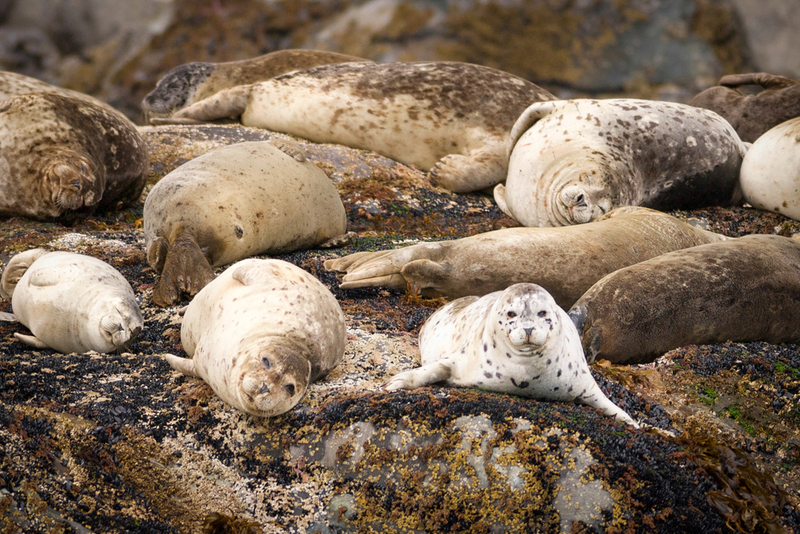 Watch seabirds, sea lions and harbor seals in their naturalistic habitats. 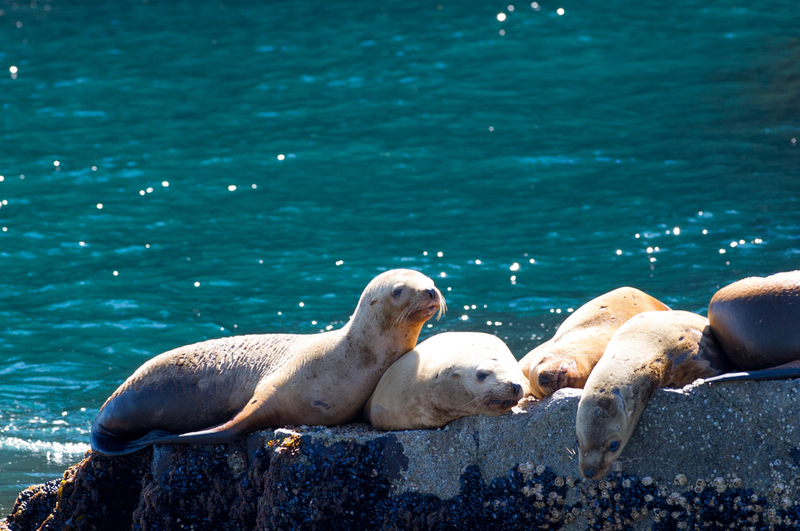 After the tour, you will have a free day to enjoy local activities and shopping around Seward. At 6pm we will rail back to Anchorage aboard the Alaska Railroad. Enjoy a pleasant dinner in the dinning car viewing scenery along this route that is about as breathtaking as it gets. We will arrive in Anchorage at 10:15 pm and we will take you to your hotel. Overnight in Anchorage. Day 6: Talkeetna: This morning you will have breakfast overlooking the great Alaska Range. 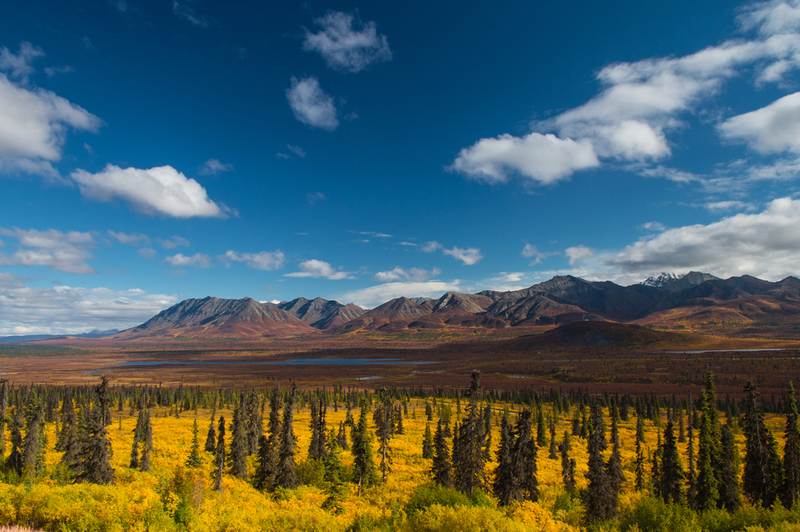 After breakfast we will take an Alaska Wilderness Tour which offers a narrated tour of Historic Talkeetna and a rare opportunity to visit an original and remote Alaskan Homestead, 5 miles north of Talkeetna. In 1959 the DeVore family traded the comforts of their Michigan home for the harsh conditions of Alaskan homesteading. Dennis DeVore takes you back to yesterday on this fascinating and very unique tour of the "Old Family Homestead", accessible only by trail. 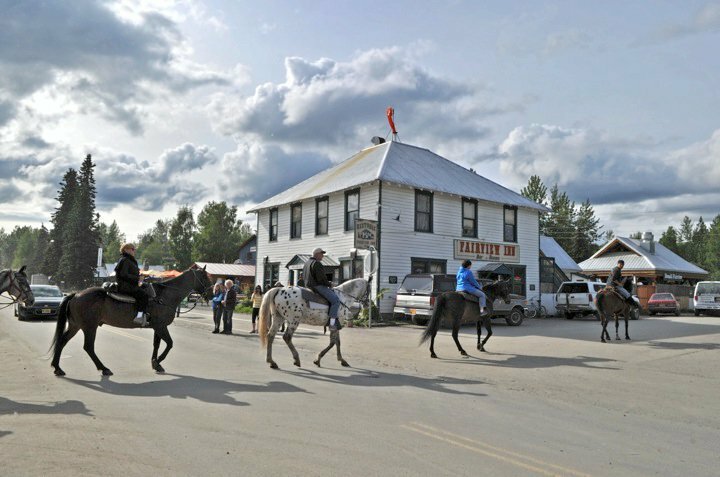 During this "Talkeetna Alaskan Adventure", guests will enjoy a scenic ride driving their own ATV. You will view the original cabin and various implements and tools used, to learn how early day pioneers survived living in the wilderness of Alaska. Next, it is on to a lunch at Dennis' personal cabin on Wiggle Creek, on the back quarter of the homestead. After lunch you may choose to gold pan on Wiggle Creek, relax with a game of horseshoes, croquette, or berry picking (depending on the season). The fresh air, the silent serenity of the forest, and the murmur of Wiggle Creek takes you a million miles away. Weather permitting, you will have an excellent opportunity to capture photos of Denali and wildlife. Lunch is included. Later this afternoon you can take an optional scenic flight over Denali and the Alaska Range (see below). This is considered to be the greatest flight on Earth! You’ll talk about this flight forever! 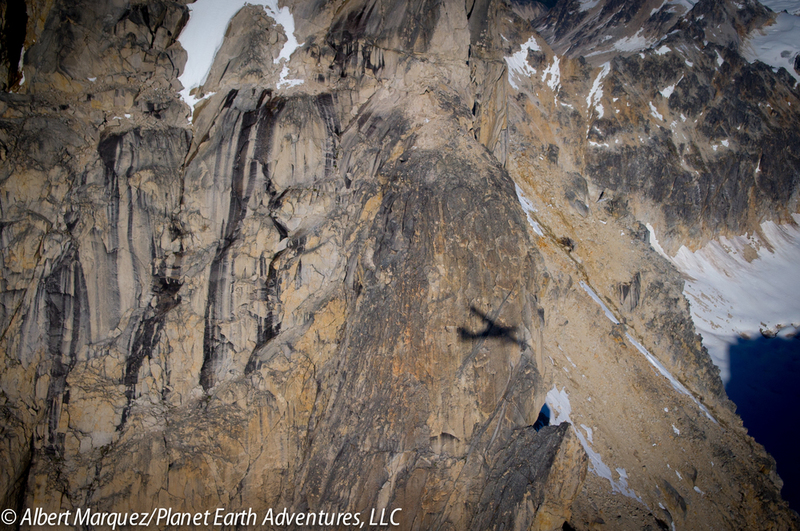 This magnificent flight takes you around Denali, the Sheldon Amphitheater and the Great Gorge. Day 7: Talkeetna to Anchorage: After breakfast this morning we will board our transport van and head back down to Anchorage. We will stop in Willow, the home of the Iditarod Headquarters. Take a sled ride on an exiting trail that winds and circles through stands of paper birch, spruce trees and wonderful Alaskan wildflowers. You will experience this thrilling trail ride with a pack of sled dogs. Afterwards, visit the museum and the gift shop. The rest of the afternoon is free to do last minute shopping and dining before heading back home. ABOUT THIS TOUR: All tours require a minimum number of participants in order to operate as outlined above. If this minimum number is not obtained, Planet Earth Adventures reserves the right to offer the tour at a different rate based on private arrangements, or to cancel a specific tour departure date. Adventure travel is exactly is as its name implies, an adventure! Although every attempt is made to adhere to these itineraries, participants need to acknowledge and willingly accept the unexpected route and itinerary changes due to factors beyond our control. 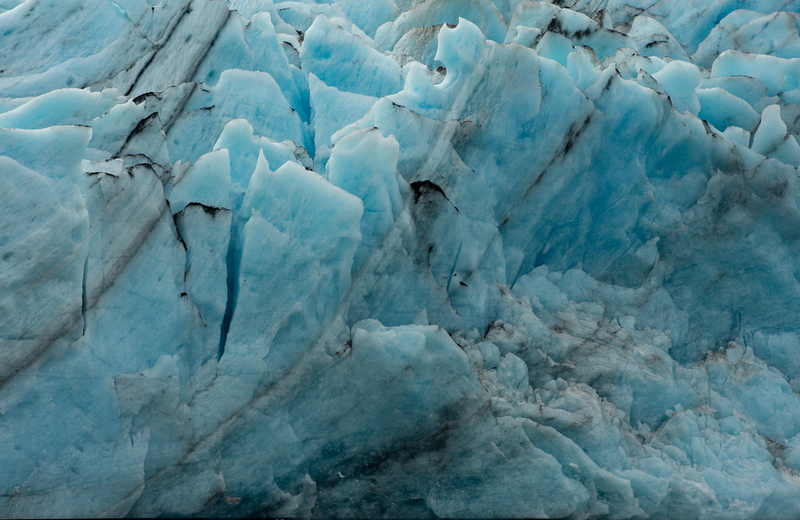 Please keep in mind that due to Alaska’s extreme and fast climate changes, we cannot guarantee a glacier landing on our Talkeetna portion of this trip. WHAT IS INCLUDED & WHAT YOU NEED TO KNOW: Transportation, lodging, transfers and baggage handling and meals as indicated on the itinerary. All rates are per person in U.S. dollars based on shared occupancy. Single supplement is $975 for this tour. 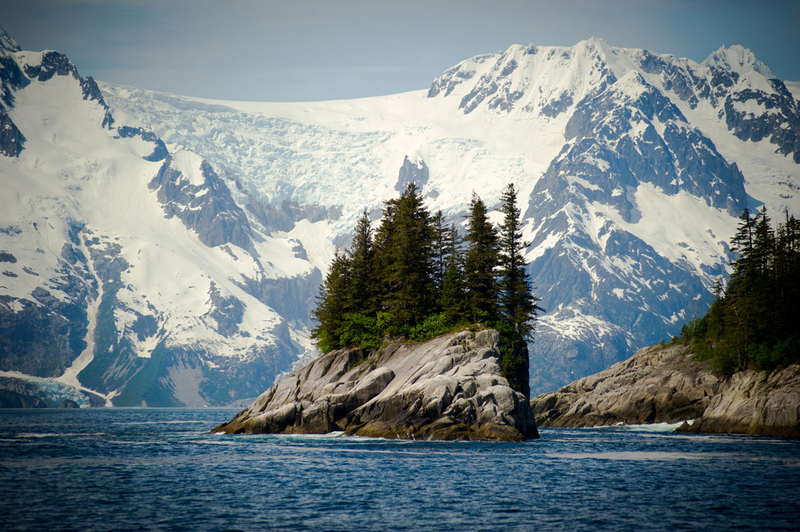 Tour does not include Alaska taxes, air transportation to and from Anchorage or any optional tours, liquor, items of personal nature or purchases made onboard the vessels. ACTIVITY LEVEL: EASY: Guests should be able to walk short distances on uneven ground. Trails surfaces vary from paved to uneven natural terrain. Tour participants must be able to walk a short distance and be able to get in/out of the tour vehicle with minimal assistance. ACCESSIBILITY: This tour is accessible to all guests; however, there may be sites where uneven ground makes certain location unsuitable for wheelchairs. GRATUITIES: Gratuities to guides/drivers, meals and alcoholic drinks other than those noted in itinerary, and other personal expenses are not included in the price of this tour. 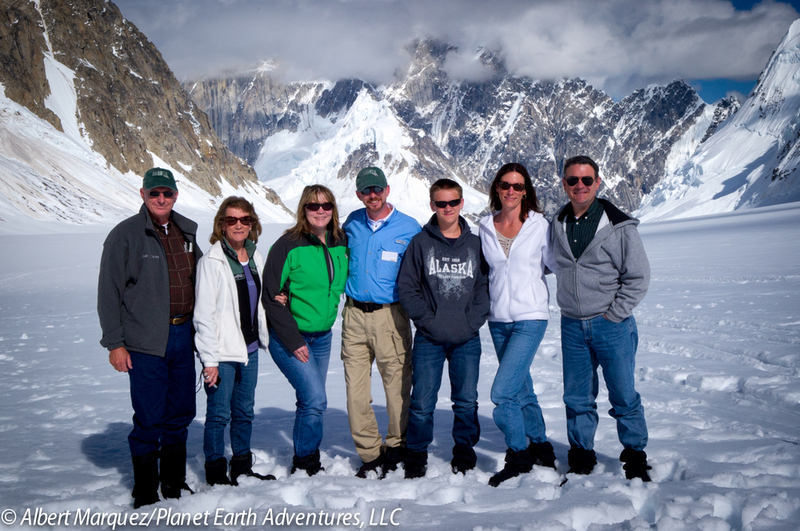 Planet Earth Adventure's tour leaders, staff and drivers and service providers are all paid salaries for their work. They will go out of their way to make your trip special and do not perform their jobs just for money. However, they do accept gratuities should you determine that they performed their jobs at an outstanding level. Gratuities should reflect your satisfaction with their level of service. 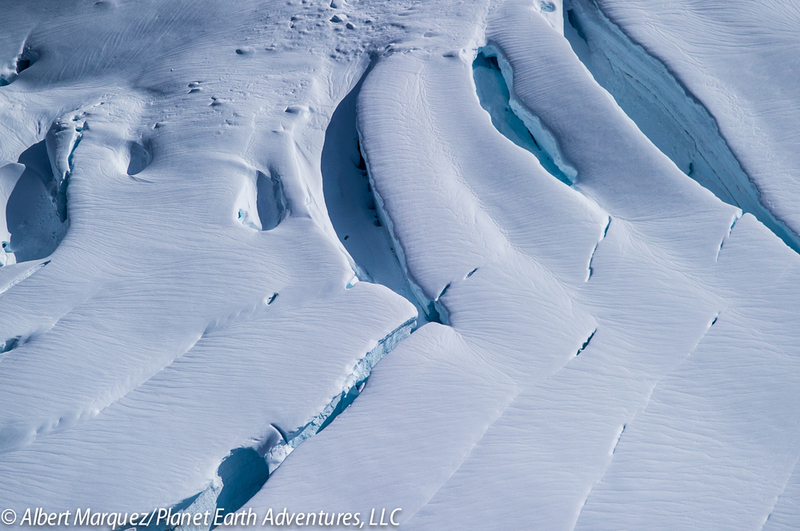 CANCELLATION POLICY: We consider the deposit non-refundable at the time of reservation; however, Planet Earth Adventures will try to be flexible in the event of a cancellation. Please read our cancellation policy thoroughly. A credit card is required to make your reservation online. Your card will be charged when you book your trip. We require at least 90-day written notice for cancellations. Wildlife sighting is not guaranteed.